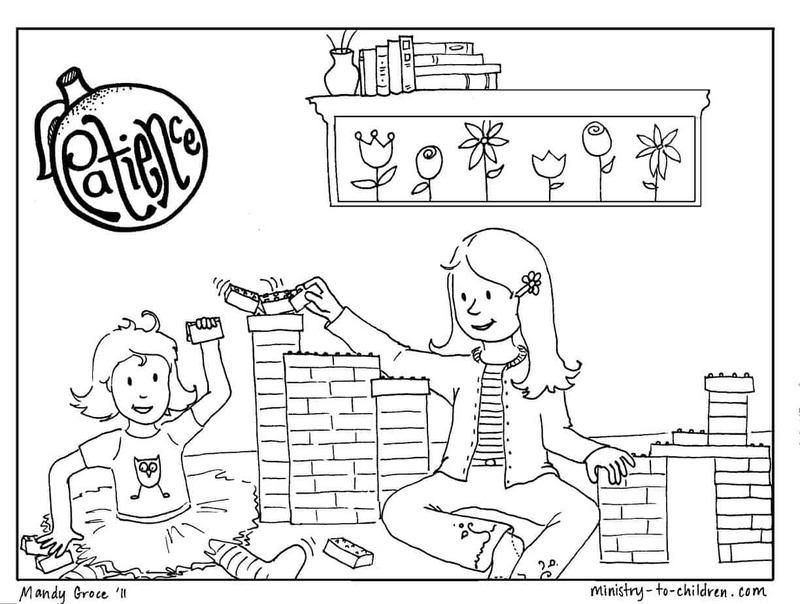 Directions: Simply click on the preview image above to download this free patience coloring page as a printable PDF file. You can also download this sheet as a higher resolution jpeg image for advanced editing. 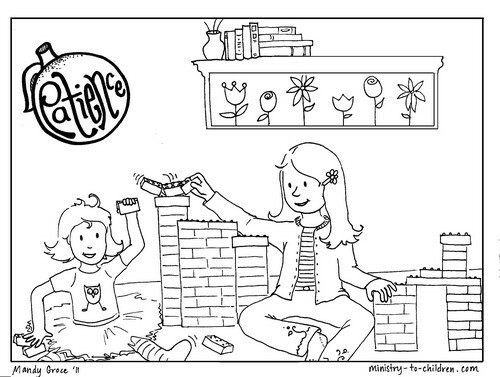 This free coloring sheet continues our series of illustrations about the Fruit of the Spirit. Don’t miss all our free lessons based on this passage. It shows an older sister playing patiently with her younger sister. This is a familiar scene in many families as younger siblings often have their own ideas about playtime. You could talk about how this situation would demonstrate the spiritual growth in a child’s life. If you enjoy this coloring page, please leave a comment below for Mandy. You can say thanks or share how you’ll be using this in your ministry. Like all our resources, this coloring page is 100% free to use in your church, home, or school.